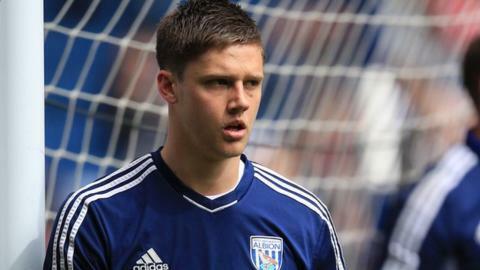 West Bromwich Albion's third-choice goalkeeper Luke Daniels has signed a new two-year contract, tying him to The Hawthorns until June 2015. The 25-year-old ex-Manchester United trainee joined the Baggies in July 2004, but is still to make his debut. His 116 career appearances have come in loan moves to seven different clubs. Starting north of the border with Motherwell in 2008, he has also played for Shrewsbury, Tranmere, Charlton, Rochdale, Bristol Rovers and Southend. And he has been on the Albion bench 11 times this season for Premier League matches. Ben Foster has been in fine form as West Brom's number one this campaign, while reserve keeper Boaz Myhill also signed a new two-year deal, plus a further year's option in the club's favour, earlier this month. Sporting & Technical Director (Designate) Richard Garlick said: "He has shown great loyalty to the club since he joined our academy as a youngster and has developed into a very promising goalkeeper. "He is an important part of what has become a strong goalkeeper department at the club and he continues to progress well under the guidance of our goalkeeping coach Dean Kiely."